Is your partner far away? Is distance what you’re worried about? 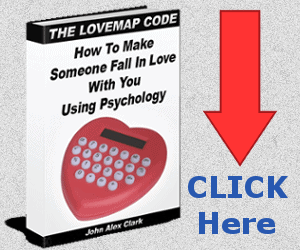 And you wish to let your partner know how you feel, even if they are still close to you? Then these words are for you. 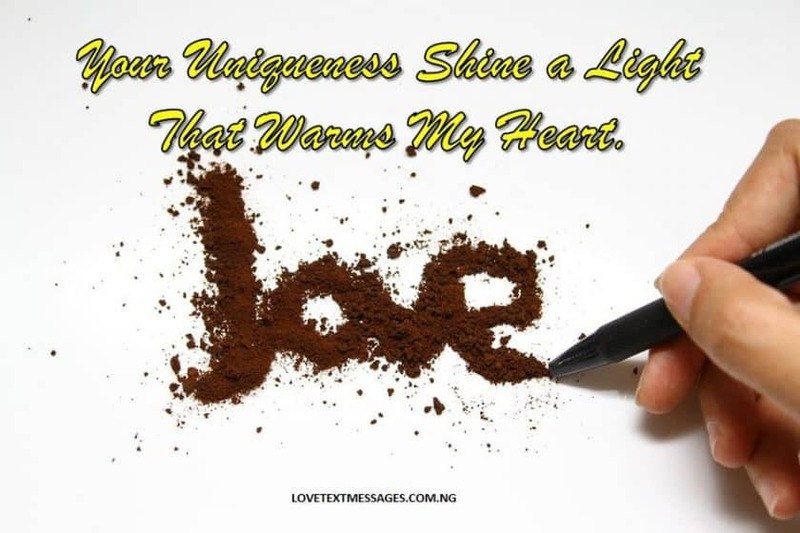 These hot love messages are for him/her! Hot love messages for her – your crush or girlfriend. Hot love messages to turn her on. 1. I don’t know how you do it, that even in a lonely place, I feel so alive because you’re with me. 2. I need not draw you the shape of my heart, it’s a path you know so well and tunnel your way through, it’s the first part of me you possessed. 3. ‎How will we ever be equal, when my strength is a trickle of yours and the light that fills my world is a reflection of what you shine. 4. ‎When I ache with love longings and I feel all alone, it is only with your presence that I feel at peace and it is you that gives me a calmness in the lonely hours. 5. ‎My only penance for staying far away from you is to carry you in my heart all day and inside my dreams until you finally appear. 6. ‎I know you love me, the silent smile that crept from within you says it all when I lift your bashful face to carefully stroke your stray hair. 7. If only you know, how motivated I feel when looking at you‎, your smile is an inspiration that makes me want to go on the forever journey with you. 8. ‎It can’t be too much to ask that I find a comfortable corner in your heart, where I can listen to all the longing whispers that comes with it. 9. ‎They say love is blind. How can that be, when it’s the same love that opens my eyes and led me to you, and you before me, what a sight to behold. 10. You’re that part of me that makes the whole of me endearing, verdant and pleasure bearing, and all I could offer is a precious part of me. My heart. 11. ‎To a whole lot of people, you might be that girl, to the world at large, you could be anything, but to me, you’re the world and you’re perfect. 12. The day you came into my world, I can only imagine how the air in the sky must have been because you’re so pure that I could breathe you in. 13. ‎When I think about it, over a long time, how you came to be in my heart, I realize you came in pieces of you fill my heart. 14. ‎Bea-U-tiful, wish I could stress it enough how amazing and alluring you are, even my brain can’t fully express all your qualities. 15. ‎ Your exquisite elegance and beauty hunt my appetite, I remain hungry and unsatisfied only because you seem far away. 16. ‎There are things I never told you like I love the sound of your smile, the taste of your mouth and the way you snuggle up to me. 17. ‎All the time isn’t enough to think about you, every time I close my eyes, you make it hard for me to perceive sleep, it’s either you’re looking at me or soothing my dream. 18. ‎I can stand any bodily aches, hurts, unpleasant pleasures or torments but what I can’t stand, is to see suffering radiate on your face. 19. ‎There is a fragrance that trails you, that even your thought summons the aroma, and your strides are like the breaking of the sun, beautiful moments I look forward to. 20. ‎I’m here thinking of forever, the moments, the duration, and the distance it holds within it, but it’s hard to imagine my days in forever without you in it. 21. ‎The feel of your soft moisturised skin against mine, the spark it brought to my eyes and the gentle pace of my heart are pure bliss. 22. From this moment, with my heart full of cheerful allegiance, every thought that flash through my mind has a thing to say about you. 23. ‎The sun shields my heart, early in the dawn when you smile at me, and at that moment, nothing else matters because that smile of yours is everything. 24. ‎I can see your smile even in my thoughts, and when I close my eyes, the impulse of your charm I feel on my skin with the passing of the breeze. 25. ‎There are moments I become speechless, you stole the words from my memory each time I see your timid face, blushing with love. 26. ‎It’s not just about your beauty or your curves, but it’s about your mind, the sweet appealing utterance that call out to me. 27. ‎Captivated, unable to lose myself, captured by your attraction, trying to break free but the closeness of your countenance got my nervous heart beating. 28. ‎The sunlight sketches your face in the canvas of my memory, and the times framed your weary soul on my mind to soothe on our way to forever. 29. ‎Your kiss, infuse a kind of current under my skin, a mere touch from you upon my skin, send a surge that could light a bulb. 30. ‎I have this day, to tell you that, you’re a carrier that carries me in your heart every day even when I’m tired to stand. 31. ‎Now that I realise it, that so much of me is you, then it’s time for us to join our soul together, and make it one heart, one thought and one prayer. 32. ‎I don’t want you just for the kisses and the passion, I want you to be my companion on this journey, so you’ll hold my hand when I’m weary. 33. ‎You left a teardrop in my soul while searching for you, but that was way before I met you, before I realise that you’re my destination. 34. ‎Don’t you forget to always be the star that shines a light through my path. Promise me, that you’ll never forget to be. 35. ‎ Your mind is so amazingly lovable, your laughter is such a beautiful noise and with you, silence becomes a harmonious melody. 36. ‎If I say I have loved only you since we met, then I lied, because, over the years, I have in different manners, fallen in love with a different you. 37. ‎This confession have I burdened my mind with, it’s been twirling my thought all day, that if you ever leave me, my conscience will constantly torture my soul. 38. It’s inspiring when you put your hand in mine, and in your bosom, I found a place to rest my heart after a weary day. 39. ‎Your mind is a beautiful place to wander when I’m lonely, I like to feel your thoughts in their abode, flying about like a bird and hum beautifully. 40. ‎Flowing through your heart is a sweetened elixir of love to ease my troubled mind, and now that you have my heart, you can also listen to me in turn. 41. ‎Since my existence, you’ve been the best addition to my life, and the most wonderful gift I’ve gotten from life, is you sharing your life and heart with me. 42. ‎ If over the years, I’ve come to be selfish with you, do not blame me, your charm glows continually in my heart, so much that I can’t get enough of you. 43. ‎Your love has touched me in a profound way, your intention when you do that bestowed upon my existence a tender embrace. 44. ‎Love is immeasurable, and that got me wondering how much a heart can hold, cause you amaze me with the way you love. 45. ‎I will close my heart to any other love but yours. Just for you, I am willing to embrace no other, for, with you, my heart find contentment. 46. ‎Deep in our hearts, we both know what brought us together, but what has kept us together is your crystal heart and your lowly self, which deflate my ego. 47. ‎Love heals more hearts than it hurts, there are moments your words hurt me deeply, yet I can’t do without you, perhaps no remedy but to love you more. 48. ‎What a privilege it is, to wake up to a special woman, it’s such a joy seeing your calm beauty laid right beside me. 49. ‎Now I know, that I have loved you, years before I met you, but I never realised it until so much of you transcends all of my thoughts. 50. ‎You are such a lovely, amazing, beautiful lassie, that no words of mine can be powerful or compelling enough to describe your loveliness. Hot love messages for him – your crush or boyfriend. Hot love messages to turn him on. 1. My heart is captured by every word unspoken from your lips and my face flourish at your unseen touch because I can already see you in my future. 2. ‎In this cold room, I so much desire your sensational warmth, but these four walls are the only thing denying me of your company I desperately crave. 3. ‎ There’s a silent need that comes with the tranquil moment when I’m alone in the corner of my room, it’s a craving need for your lips and a yearning for your touch. 4. ‎ Your rugged figure is a false misleading of who you really represent, you have a tranquil nature with so much love to give. 5. ‎ Would you allow a fragile me into your embrace and prepare a place for me in your heart? Because it’s with you, that a lonely me can find calmness. 6. ‎ With all my heart, I want to feel your love, with the smile you brought to my soul, the way you put me before you, convince me that I am yours, forever. 7. ‎I hope you’ll be the only man for me, as to you, I want to be the only woman because only in your eyes, flickers a fire that melts me when you gaze upon me. 8. When you’re not here, I ache for your presence, and when you appear, there’s a relief your presence brought to my soul. 9. ‎I love the way you desire me, the way you make me love you, it’s why I’m feeling this feeling inside me, and this feeling is all for you. 10. If there’s anything I look forward to, it is that the dream of you and I coming together, come to pass, waking up every morning to our pleasant odour kisses. 11. ‎ How do I trust, when trust is my biggest mystery? But after much thought, I now have to make a decision, and I think unravelling it with you is a risk I’m willing to take. 12. I love the way you make me hunger and yearn for you, the more your thought touches my soul, the greater my hunger and my craving for you grow. 13. ‎I choose this moment to envelope our peaceful walks, holding hands, cherishing each other into my memory. It’s a form of therapy I need daily. 14. ‎What can I say, when all I think of is how you please my urge with your touch and using your smile to ease my pain? I simply became speechless around you. 15. ‎How do you get past all my repelling defect? Fight your way through my shield to reach my inside? I realize you love what’s inside, the exquisite centre of me. 16. ‎People become what they behold, so I heard. Now I see me transform into you daily because, in your eyes, I see the look of one who has a deep love for me. 17. ‎In a thousand ways, you give me an adorable feeling, your smile brings a curve to my lips and that beautify my mind. 18. ‎In thoughts, thinking to myself why would I not love you? When the imperfect me gives you reasons to not love me, you showed me countless reasons why you won’t give on me. 19. ‎I love you, the way you make love come alive in my life, your forgiving spirit that overlooks my past and helps me turn pain into smiles. 20. ‎Being apart from you awaken multiple emotions inside of me and I can’t seem to contain my feelings… I feel unsettled. 21. ‎ Immediately you took my hands, we both know, that we belong together, somewhere in forever, watching the sun as it rises and sets. 22. ‎Of all the thoughts that have paraded my mind, this one I never take for granted, it’s a beautiful reflection of you with a sweet emotion. 23. ‎After a long day, my head on your chest, feeling the rhythmic beat, with your arms half enclosed around me, reminds me that I’m home. 25. ‎From the moment you said hello, to the missed calls, to this point where I get too lost myself inside of your eyes, every minute have been thrilling. 26. Please, come away with me, because ‎my soul is drained and I feel faint of your love, whisper strength to my ears and revitalise me with your kisses. 27. In all the years I’ve spent on earth, inflicted upon my heart, is pain that renders my heart broken until you reach for my heart and mend it. 28. ‎It’s such a relief when you squeeze my whole body into your heartbeat, it’s a transfer of peace to this restless heart of mine, it calms me down. 29. ‎I might die from an aching heart while waiting for you, so I’d rather go with you everywhere, no matter how far or windy the journey. 30. ‎You’ve made me realise my fears, falling in love with you because that’s not all that matters, I don’t just want to fall but lost in love with you. 31. ‎You’re the one that brought out both the calm and wild part of me, you calm my nerve like the stream and run my thoughts wilder than the wind. 32. ‎This path I walk on, this journey I’m embarked on, was heading nowhere, not until you found me, did I realise my destination is you. 33. ‎I was looking in the wrong places for a long time, never knew you’re the one, or how can you love so deep that I feel restless whenever you’re sad. 34. ‎It still amazes me, how after all the guardian placed over my heart, one after the other drop their shield, with just a mere smile from you. 35. ‎Why is my heart in this fragile state, I don’t know why my it races this fast, but you being the best thing to ever happen to me, smiled and make my problems melt away. 36. ‎I met you when life was dealing with people and everyone seems angry, but you, your uniqueness shine a light that warms my heart. 37. ‎You have I loved since you cross my path, so much that it hurts when I can’t see you in a day. Therefore, tell me not that your feelings aren’t for me. 38. ‎I still do not understand, why love walks hand in hand with hurtful feeling. There are moments when thoughts of you left a few teardrops on my smiley mind. 39. ‎With every single moment, in each passing day, my heart longs, to beat in your embrace and my soul awaits your rapture. 40. ‎If ever I was asked what love is, then I’d say love is you leaving your heartbeat for my pleasing eyes to see. 41. ‎The pleasing sound of you cooing in my ears when the light goes off might seem naughty but it’s me knowing how you feel about me that matters. 42. ‎It’s so appealing and beautiful to my heart, to know that I have you as simple as I can be, because without you, so much will be missing in my life. 43. ‎Just so you know, I have no regrets, being with you has been and it’s still a moment I cherish and If I could do it all over, I’d keep choosing you. 44.‎ I hope we can grow old together, cause your love is an addiction to me, I just can’t get enough of you, I crave you more and more each day. 45. ‎I love falling asleep in the cradle of your arms, though time passes swiftly, it makes me feel as though I’m in a safe world away from worries. 46. ‎There’s no place too far, no journey is too rough, and no distance is too long, I would travel thousands of miles, just to be with you, for wherever you are, is home. 47. ‎I can’t fathom this feeling, the touching of your love is beyond my sense, tell me I’m not dreaming, it seems I’m no more on earth, I feel I’m in a cloudless sky. 48. ‎Should I say I was caught off guard, I shielded myself from you long enough, not until I got caught up in your eyes and my whole is captured inside it. 49. ‎A gaze upon me from your starry eyes makes every hour special, and your sweet words increase my desire by appealing to every one of my tender emotions. 50. ‎Beneath my heart, I have lived with no other thought, it’s always been to love and be loved, guess that’s why your touch awakens my every breath.